One of the signature aspects of the game is the interchangeable armor system. No longer does link just have to wear just a blue tunic. He can wear a helmet, top, and bottom all from different sets. The backstory of Kilton is so interesting. I love how geeky and passionate he is about all things monster-related in the game. The climbing gear set is a godsend. Realizing again, how helpful climbing gear was and how dorky looking Kilton’s Bokoblin mask looked, I decided that I would mash-up the two outfits to create a cosplay that could only come from such an amazing game. 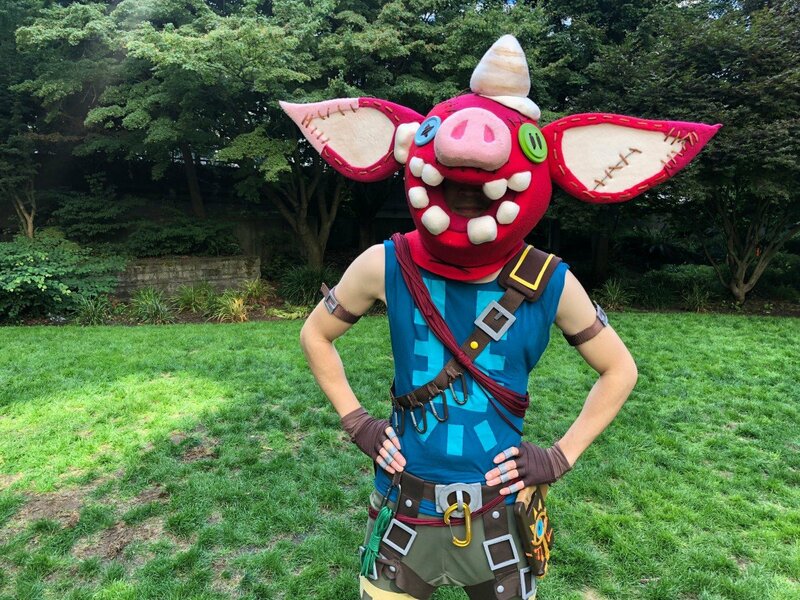 Because I wanted this cosplay to travel well, pretty much everything is detachable including the horn on the Bokoblin mask, ears, and various satchels on the climbing belt. Thanks @akumei4th, @garchiu, and TJ for the photos!